Written theories of horse-breeding go back at least 3,000 years, to the clay tablets of ancient Phoenicia in the Middle East, when horses were bred to be big and strong for warfare. Eventually, they were crossed with Arabian breeds to produce more speed and stamina, and such hybridization produced the first thoroughbred racehorses in the 1600s. Fortunately, race records and pedigrees have been kept by the Jockey Club ever since, providing breeders with a great deal of reliable data on the ingredients for speed in the racehorse. Nevertheless, a good deal of superstition and old wives tales persisted over the years, based on the limited experience and prejudices of the breeders involved, but the computer generation now offers us the opportunity to separate most fact from fiction. Even so, statistics can be deceiving at times, but very enlightening when used wisely. Breeding science in the world of agriculture and livestock has seen milk and egg production increase nearly fivefold in the past century, and many of the same principles figure to apply to racehorse breeding as well. 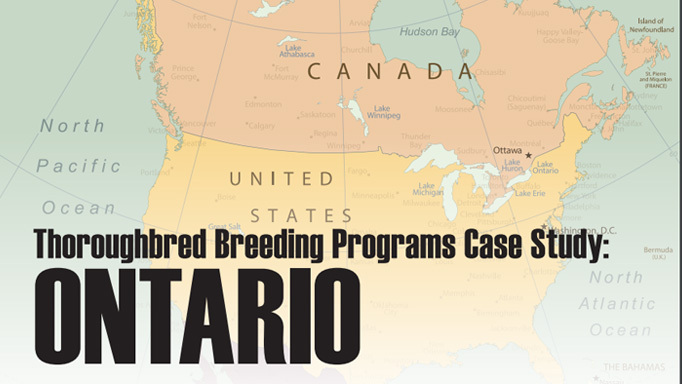 Such breeding strategies as nicking, linebreeding, outcrossing, and hybridization have been remarkably effective, and are more easily applied to the agricultural world where many generations can be produced quickly and inexpensively. 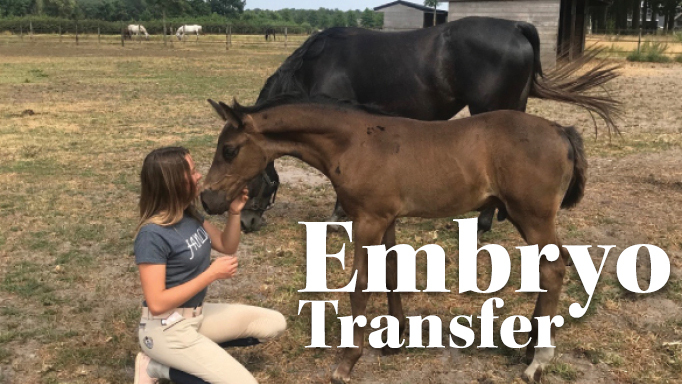 Horse breeders are more cautious to experiment, where breeding a single thoroughbred may take several years and many thousands of dollars just to reach the racetrack. The goal of most livestock breeding is very simple: to fix, or engrain, the most desirable qualities in the breed, while improving the less desirable traits. History shows us that this has usually been accomplished by a combination of inbreeding and outcrossing: returning the best blood present in a stallion or mare’s pedigree, while adding the best bloodlines missing. By inbreeding and linebreeding, we can engrain the best traits. By outcrossing, we can add new blood to improve the weaker traits. Too much inbreeding, however, will usually engrain some negative traits as well, while too much outcrossing tends to un-fix the very traits we are selecting for. A balance between the two is usually ideal. Although inbred crosses of 3×3 (duplicating an ancestor in the third generation), or 3×4 can sometimes produce a great horse, the thoroughbred has reached a point in its evolution where crosses of 4×4 and 4×5 are closer to the ideal. Seattle Slew is inbred 4×4 to Nasrullah, Mr. Prospector is 4×5 to Teddy, and Northern Dancer is 4×5 to Gainsborough, for example. (Note that Nasrullah, Teddy, and Gainsborough are all great influences, genetically). Perhaps the surest and safest way to engrain desirable traits is to use multiple linebreeding patterns beyond the fourth generation, (deep linebreeding). Great racehorses, like Damascus, were produced by modest parents, and he showed no close inbreeding. However, Damascus was linebred 5x6x4 to Phalaris – the dominant genetic influence of the 20th Century. Brigadier Gerard, one of the greatest English horses ever, was linebred 6x7x6x6x4 to Phalaris. Triple Crown winners Affirmed (5x5x6x7x6–Teddy), and Citation (5x6x5x4–St. Simon) were likewise deeply linebred to great genetic influences. Such deep linebreeding offers the advantages of inbreeding with fewer of the dangers. Outcrossing introduces many variables, but can create great hybrid vigor under the right circumstances. Secretariat and Mill Reef were both outcrossed 5×6. Both were products of the golden cross between the Nasrullah and Princequillo lines, but outcrossing between less compatible bloodlines is unreliable and tends to create too much variation in the offspring. Which brings us to the fascinating subject of breeding “nicks.” A nick is defined as an unusually beneficial cross between two bloodlines, particularly the sire line with the broodmare-sire line as with the sons of Nasrullah with the daughters of Princequillo. In addition to Secretariat and Mill Reef, this cross more distantly produced Seattle Slew, Riverman, and Cozzene, among others. However, nicks do not have to involve such elite bloodlines. Breeding science in general tells us that a breeding nick is one that produces offspring that tend to be superior to either parent individually, and the agricultural world has thrived on such nicking for many decades. To use a simple example, peanut butter and jelly combine unusually well, but caviar and filet mignon probably would not. Similarly, the blood of Northern Dancer and Bold Ruler did not combine well, although they may have been the two finest sires of the 20th Century. Nijinsky II crossed with Round Table mares produced a remarkable 38 per cent stakes-winners from foals, but Nijinsky II crossed with Buckpasser mares produced only eight per cent stakes-winners, although Buckpasser was the finest broodmare-sire of his time, and certainly superior to Round Table in this respect. Pedigree does not tell the whole story, however. Not all mares lacking Northern Dancer blood will cross well with it, for example, although in general they are likely to. A mare whose pedigree is filled with all the major bloodlines might appear to cross well with an outcross sire from the lines of Ribot, Damascus, or In Reality. But an unusually large mare will probably be better off with a smaller, more refined stallion, regardless of pedigree, and a mare with bad feet or knees will want a stallion who is strong in those areas. Physical type is therefore an important ingredient in mating. With excellent individuals, breeding like to like is probably the best way to preserve their conformational strengths. With flawed individuals, a mate should be chosen that can compensate for these flaws. Similarly, racing aptitudes between a sire and dam usually need to be balanced. A sprinter will generally want some stamina from a mate, and vice-versa. Extreme differences in size, conformation, and racing aptitude do not generally blend well, however. The legendary Italian horse-breeder, Frederico Tesio, identified three basic ingredients to a successful mating. Tesio bred the undefeated European champions Nearco (1935) and Ribot (1952) and he was something of an eccentric genius ahead of his time. Those three ingredients were nicking, inbreeding, and racing performance. In the first half of the 20th Century, the male lines of St. Simon, Teddy and Hyperion were dominant in both Europe and North America, but the less-celebrated Phalaris line eventually grew to overwhelm all three of these rival bloodlines. Northern Dancer was only the second Phalaris line colt to win the Kentucky Derby, yet today more than 90 per cent of the world’s leading sires descend from the Phalaris male line. There are now three main branches of the Phalaris line: Northern Dancer, Mr. Prospector, and Seattle Slew, with the Turn-To line still flourishing on a smaller scale. History suggests that one of these sire lines will eventually overwhelm the others and become the main foundation of the future. Anticipating which one will be priceless for big and small breeders alike. Again, history and breeding science can show the way. Although outcrossing and hybrid vigor can produce impressive physical specimens and athletic individuals, the very genetic variety that creates this greatness also undermines the ability to later reproduce this greatness at stud. On the other hand, less impressive individuals who are more inbred or linebred themselves will have a greater genetic uniformity (homogeneity) with which to stamp their offspring. This trait shows up even more dramatically in the livestock world of cattle, pigs, and poultry, where very closely inbred individuals often become the major foundation sires and dams of their breed. Seattle Slew (4×4–Nasrullah) is a prime example, as are Turn-To (3×3–Pharos), Sadler’s Wells (3x6x6–Nearco), Storm Cat (4×5–Nearco), Wild Again (3×4–Nearco), Roberto (4×4–Nearco), Distorted Humor (4×5–Native Dancer), Elusive Quality (4×5–Native Dancer), and A.P. Indy (4×3–Bold Ruler) and his sons, Pulpit and Bernardini (both 5x4x5–Bold Ruler). Even Northern Dancer was 4×6–Phalaris. While this list is nearly a ‘who’s who’ of stallions, this is not to suggest that such TML is essential to success at stud, but it is certainly a valuable ingredient. On the other hand, more widely outcrossed individuals like Triple Crown winners Secretariat (Bold Ruler), Citation (Bull Lea), and Whirlaway (Blenheim II) were somewhat disappointing at stud, despite each being by a champion sire themselves. Turning to the broodmare side of the equation, we find many top broodmares throughout history were not by the most dominant sires, unlike the top stallions. (See “Yin and Yang Bloodlines” in the December issue.) Perhaps the most successful broodmare of recent decades was Fall Aspen (Pretense), who produced nine notable stakes winners from eight different stallions. Likewise, the great broodmares Moccasin (Nantallah), with seven stakes-winners, and No Class (Nodouble), with six stakes-winners, were by distinctly modest stallions. The recent revolution in genetic research sheds some light on this curious duality. 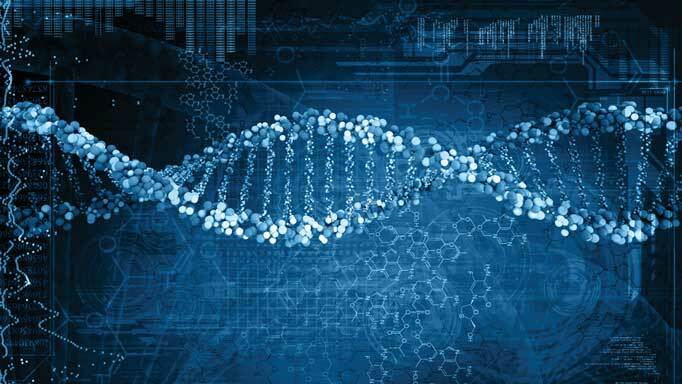 Numerous university studies are finding that key genes can be turned “on” or “off” by epigenetic factors that transcend traditional genetic theory. Genes were once thought to be mindless little machines that kept cranking out the same proteins incessantly. But, ‘gender-imprinting’ in particular, suggests such key genes may be turned on or off simply by the gender of the parent they were inherited from. So, while the sons of Secretariat, Buckpasser, Affirmed and Alydar had very little success at stud, their daughters made superb broodmares (a paternally imprinted gene would be one where a gene was turned ‘off’ when inherited from a stallion, but turned ‘on’ when inherited from a mare). More recent genetic research has even identified so-called “speed genes” found in the best racehorses, and there are several commercial firms now offering genetic tests to show racehorse owners and breeders if their horses possess such genes. A final point to consider is whether a foal is being bred to race, or to sell commercially. A stallion who is not particularly commercial might be an ideal mate for a mare genetically, and for a breeder of modest means who is breeding to race, this is fine. On the other hand, a commercial breeder must look for stallions whose offspring are good-looking and sell well. These two schools are not completely at odds with each other, however, as the same genetic factors that make for a good cross on paper also tend to make for attractive individuals in the sales ring. In any event, there is a great deal of rhyme and reason to the art of racehorse breeding and the lessons of history and Breeding science can surely point the way. ‘Conceivably’ a great reproductive option. 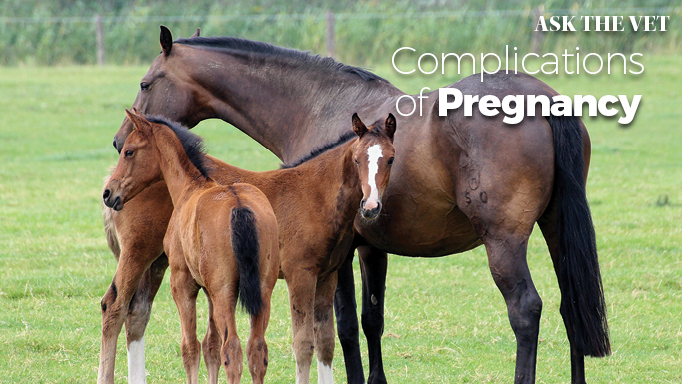 Why some mares don't carry their foals to term, and why some are born with abnormalities. I am very new to the TB race scene. This article is very interesting if I want to have my own mares bred and to what stallion. It has given me an strong urge to learn more about this subject. If this comment is ever read please let me know where I can find more information on the subject. I will hit the web to do the same. Thank you.